It’s possible the endgame for the Russian Mistrals is approaching. But Moscow’s not sad. Officials have already said it’s not a tragedy. Mikhail Nenashev — not an official, but a former Duma member and well-informed commentator — has called into question the need for the Mistrals. 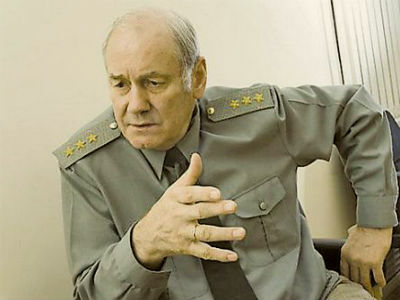 He’s a former Captain First Rank who chairs the All-Russian Movement for Support of the Navy. That’s a bit of an exaggeration. The most cursory look shows that the French contributed the Mistrals to the NATO Response Force, and deployed them during unrest in Lebanon and Cote d’Ivoire, among other places. Nenashev and others (including Minister of Industry and Trade Denis Manturov) say Russia can build ships like to the Mistrals since it was already participating in their construction, and providing the internal command and control systems for the ships. It would take longer (3-4 years) but cost less (€150-200 million vs. €1.2 billion). The French, he says, can build it in a year because they have a smooth production process for these ships. The former officer suggested that Sevmash or Baltic shipyard could construct such a ship if desired. But he fails to note that these builders are already absolutely chockablock with orders today, and every new ship type is taking substantially more than 3-4 years to build. But Nenashev willingly admits there are “acute questions” about the shipbuilding industry. Specifically, issues of components, parts, technology, and skilled labor are a “little rough” and require coordination. It’s exactly what Moscow will miss — a chance to see first-hand how fairly robust and modern French shipbuilders do their work. No doubt there are things the Russians could have learned and taken home. For their part, the French carefully note that the delivery of the first Russian Mistral has not legally and finally stopped. But President Hollande signaled Moscow that, if the situation in Ukraine does not improve, he will not approve the ship’s transfer in November. That final decision will actually come at the end of October. Improvement in Ukraine is defined by a relatively high bar of an effective ceasefire and agreement on a political resolution of the conflict. The Elysee is quick to repeat that the Mistral sale remains unaffected by EU sanctions on Russia, and is a decision for Paris to make. Hollande adopted his current stance in the last couple weeks as unavoidable evidence of direct Russian participation in the fighting (i.e. POWs and KIAs) in eastern Ukraine surfaced. 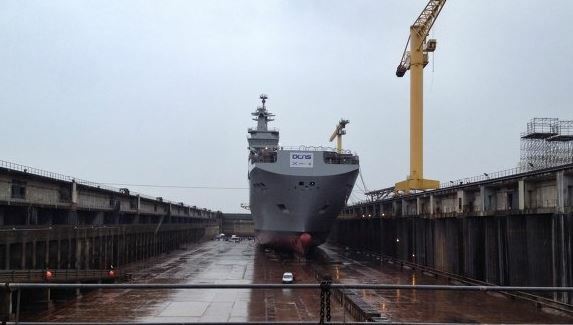 As of 9 September, RIA Novosti reported that planned at-sea training for the first Russian Mistral and its 400-man crew-in-waiting in Saint-Nazaire was put off for “technical reasons” having nothing to do with the French President’s current stance on the sale (or no sale). A good day to finish old business . . . this covers the second half of Defense Minister Anatoliy Serdyukov’s Rossiyskaya gazeta interview. Serdyukov, while remaining on message, seems tired or uninspired in giving this interview. He reviews old ground rather than breaking any new. Serdyukov talks about coming to grips with large existing stockpiles of tanks, BMPs, BTRs, guns, and automatic rifles, and indicates he’s waiting for the defense sector to propose some fundamentally new systems. In regard to Kalashnikovs, the Defense Ministry is open to new developments from private firms but isn’t eschewing future AK purchases from its traditional supplier either. On Mistral, Serdyukov tells RG the French will decide where it’s best to produce units 3 and 4, and Sevmash is the likely place. But he wants them to come in cheaper than number 1 and 2 being built in France. He expects Russia to acquire leading edge shipbuilding techniques in the process. Serdyukov says voyenpredy can be civilians, but they should be former military men with lots of practical experience. Izvestiya’s Denis Telmanov reported this week on future plans to build two new nuclear-powered aircraft carriers by 2027 — one for the Pacific Fleet and one for the Northern Fleet — along with 15-ship battle groups to surround them. The Navy is reportedly completing the “technical tasks” for a new carrier, with a first design due next year, and the final one by 2017. The first hull is supposed to be launched in 2023. According to Izvestiya, sections and components will be built in several shipyards, but final assembly will be at Sevmash to save resources instead of building a new yard large enough to put a carrier together. The article might be as much about where carriers would be built as if they will be. There has been talk that the nascent New-Admiralty Wharves could get this work. 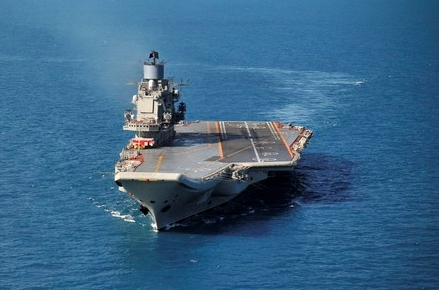 Izvestiya says land-based carrier trainers at Yeysk and Saki (NITKA) in Crimea will be used. The paper also notes the new carriers will need new support bases because the lack of them “killed” or complicated the service lives of Soviet “heavy aircraft-carrying cruisers,” including the Kuznetsov. One surmises that Russia’s coming experience with building, basing, and operating Mistrals will affect all this too. But let’s rewind a bit . . . Navy CINC, Admiral Vysotskiy said in early 2010 that Russia plans to launch a carrier by 2020. Defense Minister Serdyukov, however, has said twice in the last year that Russia has no plans to build carriers in the near future [by 2020]. 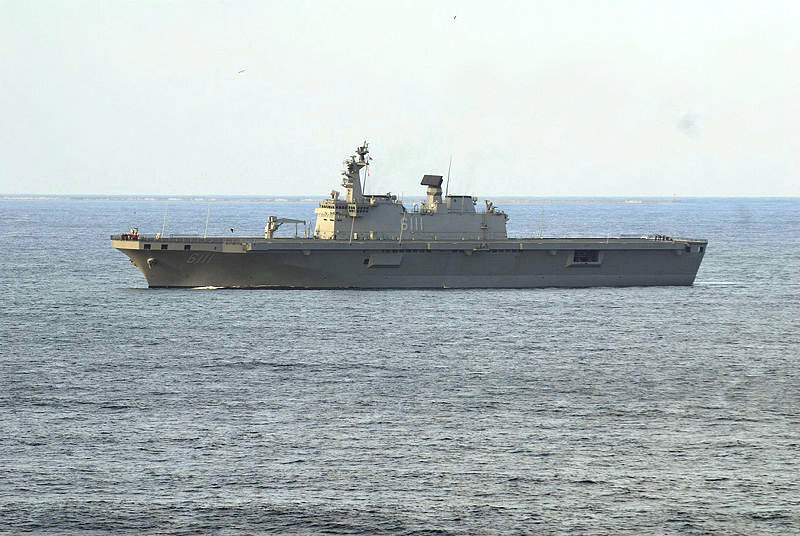 On July 1, he emphasized that the Genshtab and Navy will decide on the need for an aircraft carrier after a “preliminary design” is complete. No matter how much some say “Russia must have aircraft carriers,” it ain’t necessarily so. It ain’t so because (1) Russia may have more important requirements to fill with its limited resources, and (2) the people talking about carriers ain’t the same people who ultimately decide which requirements get met. When we read that these types of people have decided to build carriers, it might really happen.